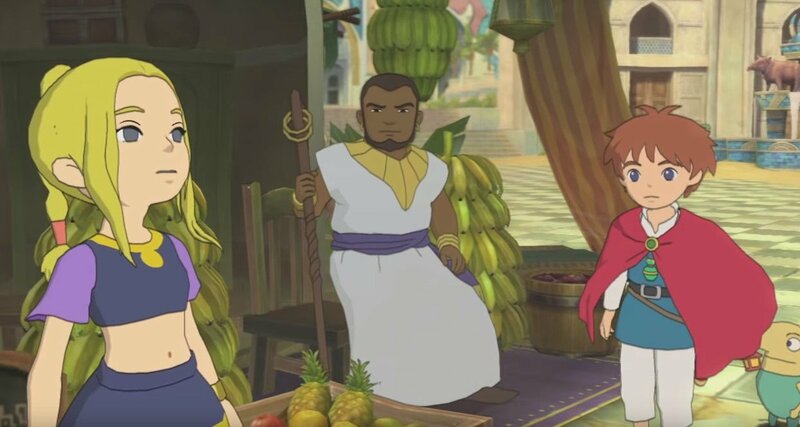 Ni no Kuni: Wrath of the White Witch follows a young boy named Oliver living in his quiet hometown of Motorville. 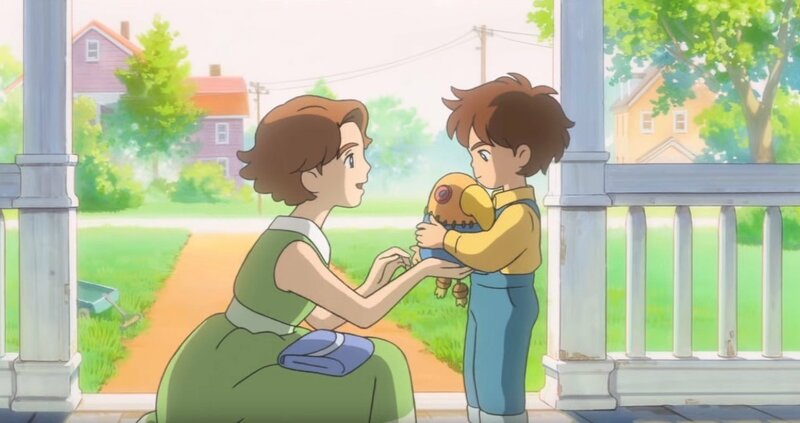 In a sudden accident, his mother sacrifices her life to save Oliver’s, leaving the boy to cry until his tears somehow bring his favorite doll to life as the fairy Drippy. In addition to teaching Oliver the F word (flip), Drippy informs Oliver of a magical world where everyone’s fates are bound to similar people from the real world. Oliver may be able to save his mom by saving her parallel world counterpart, the Great Sage Alicia. Here’s the kicker -- Alicia’s soul is captive by the Dark Djinn Shadar, who currently rules the magical world with an iron fist by proxy for the much-more-titular White Witch. 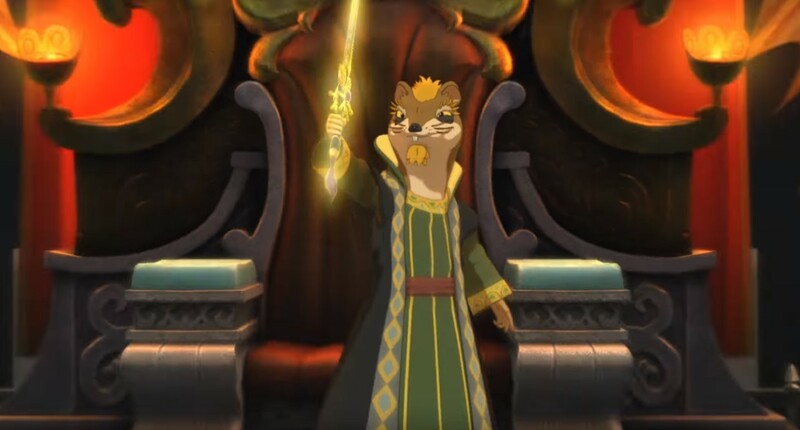 So Oliver finds a spellbook hidden in his house and teleports to the magical catfolk town of Ding Dong Dell, where he learns that Shadar controls dissidents by breaking their hearts. Literally. Shadar uses dark magic to rip out traits such as passion or kindness from hearts, turning his victims into “brokenhearted” husks absent of that virtue. Oliver can use his new magic to mend the brokenhearted, but only if he finds someone with enough of the missing virtue to share. For example, Oliver needs training from the sage Rashaad, but Shadar stole his daughter Esther’s courage. By returning to Motorville, Oliver learns that Rusty (Rashaad’s soulmate) is also brokenhearted and lacking kindness, keeping his daughter Myrtle (Esther’s soulmate) locked in her room. He also learns that monsters called Nightmares possess the brokenhearted because solving problems without boss battles is illegal in JRPGs. In beating Rusty’s Nightmare and sharing some kindness with him, Oliver convinces Rusty to apologize and allow Myrtle outside again, filling her with courage that he then shares with Esther. What a poetic coincidence! Oliver continues to befriend and help everyone he meets in ways like this until he finally confronts Shadar. Upon defeating the Dark Djinn and White Witch, Oliver claims his prize… his peace with the fact that he was too late to save his mother. O-oh. It’s a bittersweet conclusion, but by this point, he’s grown confident enough to continue living on as she would have wanted with his new friends. And he does dethrone two magical dictators, that’s a pretty rad accomplishment. Revenant Kingdom’s plot has a lot more recurring characters and gets a lot windier, but I’ll keep it brief. This story begins from the perspective of Roland, the president of what we pretty much consider to be the United States. He gets killed by a nuke. Yes, it is that sudden. Roland wakes up shocked to find himself alive in the bedroom of a half-catfolk boy named Evan. Evan is the soon-to-be-coronated king of Ding Dong Dell (Hey, that sounds familiar!). 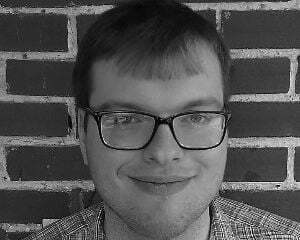 In his panicked attempts to avert stranger danger, Evan is ambushed in a rat coup led by the deceased king’s treacherous advisor Mausinger. It’s a good thing the president brought a Glock with him! Evan’s nanny and last surviving parental figure, Aranella, sacrifices herself so Evan can live to become a king that makes everyone happy. After grieving for Evan’s loss of… everything, really, Roland agrees to help Evan become that king. Soon after Evan wins the trust of the boisterous sky pirate leader Batu and his tomboyish daughter Tani. Thus the party founds their humble kingdom of Evermore. The party soon after discovers their real big bad, Doloran, is corrupting leaders across the world with dark magic to weaken and steal their bonds with their guardian beasts, the Kingmakers. The gambling-oriented country of Goldpaw has been cheating its people with weighted dice. The ocean kingdom of Hydropolis micromanages its people with excessive laws and magical Orwellian surveillance. The magitech-based megacorporation of Broadleaf is dangerously overworking its employees. And back at Ding Dong Dell… you guessed it, the struggle between cats and mice is a racism allegory. All of their leaders acting largely on Doloran’s will instead of their own until the heroes break his spells by reminding them of their original agendas. After all of these trials and defeating Doloran’s own Kingmaker, Evan fulfills his promise of achieving world peace under Evermore’s banner. Sure, there were smaller world powers that are never shown in the scope of this story that he had to unite too. And this tale doesn’t demonstrate how he solved universal political issues like poverty, famine, and neo-nazis. But as described by the ending cutscene itself, “it was tough, but (he) solved them too”. Yeah, that… that’s kinda a shallow note to end on, and I otherwise loved everything else about the ending. I don't even dislike the fact that Evan gets a less bittersweet ending, the dude already lost as much family as Oliver did. Which brings me to the main reason the sequel hit me less hard, less interesting resolutions for more hyped up conflicts. 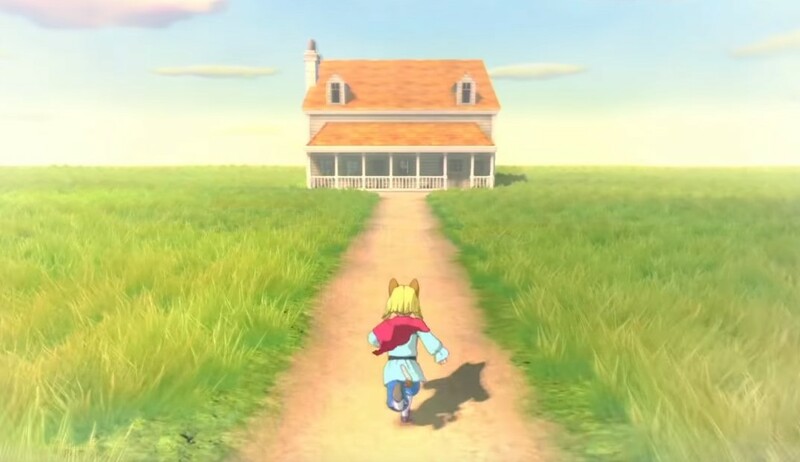 I don’t expect a Studio Ghibli-styled JRPG to provide political commentary on par with Hideo Kojima’s tactical stealth espionage thrillers, but most of Revenant Kingdom’s chapters focus on conflicts parallel to concerns in our current international political climate. I would think a plot that focuses on how people suffer under topical issues would also show how these problems come to be, or what Evan can do to solve them that others can’t or won’t, or something a bit more meaningful. They chose not to do this for the most part, which is why the aforementioned ending feels a bit hollow, but I can let that slide for the kingdom arcs if we instead get gratifying resolutions to them. The first half of them don't feel satisfying either. Doloran's corrupting magic is clearly some parallel to Shadar's brokenhearted curses, but the specifics make it a much less interesting plot device. Whereas healing a broken heart required Oliver's empathy, saving Doloran's victims just requires the traditional anime solution of “give the victim the CliffsNotes of their own memories”. Brokenhearted victims are either stuck zoning out or are stuck trying to solve their problems without an essential personality trait. These leaders act like apathetic antagonists that you can only forgive because they magically cannot be held accountable for their own actions. I felt much more disengaged from their plights than, say, the aforementioned incident with Myrtle's family and their parallel counterparts. At least, that’s how I felt during the Goldpaw arc, because it was only revealed after the fact that their king was acting not of his own accord or that Doloran even existed. That made its resolution feel the cheapest. Every subsequent kingdom arc added another little kink that made their redemption feel a little bit more earned than the last. Remember Broadleaf? Their CEO gets brought back to his senses in part by memories of how hard he overworked himself for the sake of his workers. Revealing these memories before confronting him makes him a more empathetic temporary antagonist, and a more gratifying ally to redeem. In fact, once we return to Ding Dong Dell, it’s revealed that Mausinger himself has been immune to Doloran's magic. Instead, his corrupted chancellor has been preying upon the rat king's fears for his own profit. It’s a twist that makes Mausinger all the more responsible for his contemptible actions by making him a figurative puppet rather than a literal one. This arc’s resolution cannot be handwaved away as easily as “he wasn’t himself”, and while I'll keep mum on the other reasons I loved it, forcing the rat king to confront that fact makes this my favorite emotional climax of the story. I’ve spent most of this time talking about how the heroes interact with other characters because that’s what stuck out most to me from my time with both games. Truth be told, I don’t have as much to say about how their heroes interact with each other. I never got a sense that a party member was essential to ongoing events after their introductory quest in either game. Said introductory quests were great and convinced me I would be happy to keep them along for the ride, and I was! But I expected them to be more involved than just “along for the ride”. 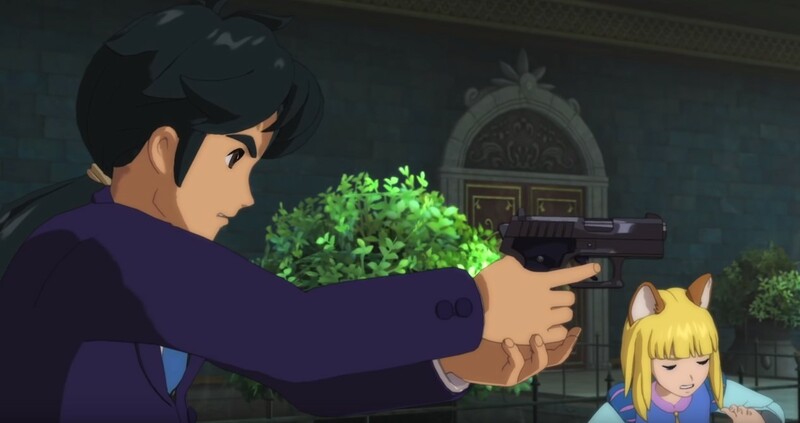 I actually felt that Revenant Kingdom’s Evan and Roland have the most significant dynamic between both parties because they have a constantly developing student-and-teacher relationship. Everyone else has great moments, such as Evan and Tani pretending to get married because they need to get thrown into prison (Wait, what?). But most of those moments, as enjoyable as they are, don’t have any greater relevance beyond their self-contained shenanigans. 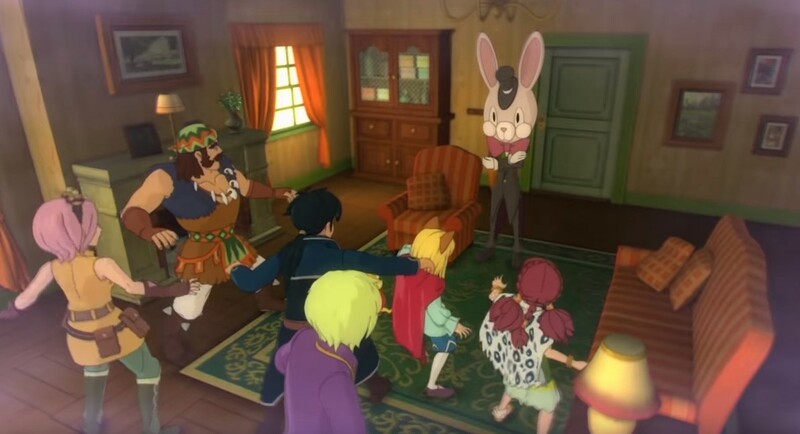 The main difference I noticed is that Oliver has more heart-to-hearts with his companions. He develops a closer camaraderie with them as he leans on them to cope with the loss of his mother. I never minded his companions mattering less to the overarching plot because their shared friendship felt like an important part of Oliver's growth. Evan is never seen opening up with anyone other than Roland unless he’s addressing his people as a whole, and even then it feels like some crucial bits are missing. For instance, while rallying his forces, Evan mentions how he previously wanted revenge for Aranella’s death but has since decided otherwise. I never got the sense that Evan ever had the slightest interest in killing Mausinger before this point; he seemed more interested in avoiding that conflict. Other party members are also implied to have some backstory elements that never get brought up outside of in-game biography entries. I had the impression some interpersonal dialogue was left out, which is a part of why the sequel’s writing feels lacking. 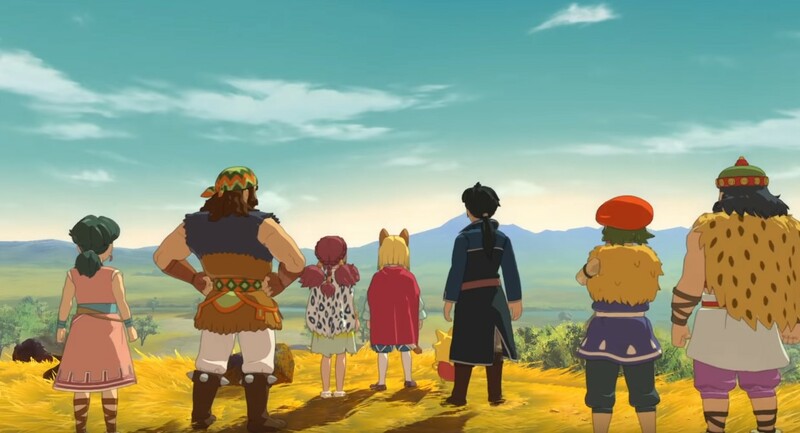 I’d like to emphasize that I don’t think any less of Revenant Kingdom because it’s less down-to-earth than its predecessor. On the contrary, once I saw the president packing heat against knights and mages with backup from the ninja-like Aranella, I got excited for more bombastic and anachronistic action. Those shenanigans are put back on hold until we arrive at Broadleaf. That misplaced expectation may have also dented my interest in earlier scenes. Point being, I love it when a sequel breaks away from established series conventions to tell a different kind of story. King Evan may be a less relatable protagonist than Oliver, but he goes through a broadly similar arc in his quest to accept his nanny’s death and handle the responsibility prematurely forced onto him. He still befriends every monarch and CEO he confronts by coming to understand their problems and acting in their shared interests. Evan’s party just doesn’t do so in an impactful way until after the midway point of his journey, at which point a lesser impression has already long set in. Oliver's party keeps getting hit with solid emotional gut punches from beginning to end, so Wrath of the White Witch wins for consistency. The lack of character focus is something that both of Revenant Kingdom's paid DLC packs address, with many backstory-centric side stories for both party members and NPCs. I’ve yet to play the first pack and the second is only coming out today, and this may or may not quench my thirst for interpersonal dialogue, but I'm intrigued all the same. Both DLC packs also seem to focus on antagonists that resemble mysterious magical threats more than the main story’s politics of the week. For instance, the new DLC promises plenty of Nightmares to fight. Huh. Didn’t I write that word somewhere else on this page? Something to do with broken arteries…? Anyway, I’m expecting the Tale of the Timeless Tome to take more a more personal tone like the first game, combined with the second game’s quirkier cast. As someone who walked away loving the sum of Revenant Kingdom’s parts and wanting more, I’m very curious to see how the tome’s pages hold up.